The International Academy of Television Arts & Sciences has set its nominees for the 2017 International Emmy Awards. Represented are 18 countries with notably strong showings for programming out of Japan and Brazil. The latter’s Justiça, a miniseries from TV Globo, scored double nominations for Drama Series and lead actress Adriana Esteves. 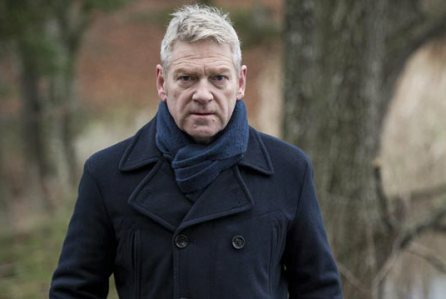 Also scoring mentions are Kenneth Branaghfor the BBC’s Wallander and Anna Friel for Netflix’s Marcella. Ahead of his return to the BBC later this year, Steve Coogan’s Alan Partridge’s Scissored Isle received a nomination in the Comedy category. The Academy is also honoring Kevin Spacey and Grupo Televisa’s Emilio Azcárraga Jean with special awards. Hasta Que Te Conocí; Disney Media Distribution/Somos Producciones/IGSFA Management/BTF Media – U.S.
La Voz Kids; Talpa Holding/Talpa B.V./Talpa Media USA/Red Orange Productions/Telemundo/NBC Universal Television Group/Warner Horizon/Warner Bros Entertainment – U.S.
Odisea De Los Niños Migrantes; NatGeo Mundo/Fox Networks Group Latin America/National Geographic Channel Latin America/Anima Films – U.S.